Nintendo's stock is on a tear over the past year, but there are some structural issues with the shares that need to be addressed to make the company more appealing to large and small shareholders in the U.S. and Japan. Nintendo's stock has been on a great run since the bottoming out in 2015 after three years of financial troubles. The company's Nintendo Switch hybrid console has taken the gaming world by storm, winning countless awards last year, and has the Big N back in the driver's seat. Sadly, there are still some problems with Nintendo's stock that need to be addressed in order for the company to continue its rise with the support of institutional investors and smaller shareholders. Here are four suggestions for how Nintendo could make their stock more shareholder friendly. 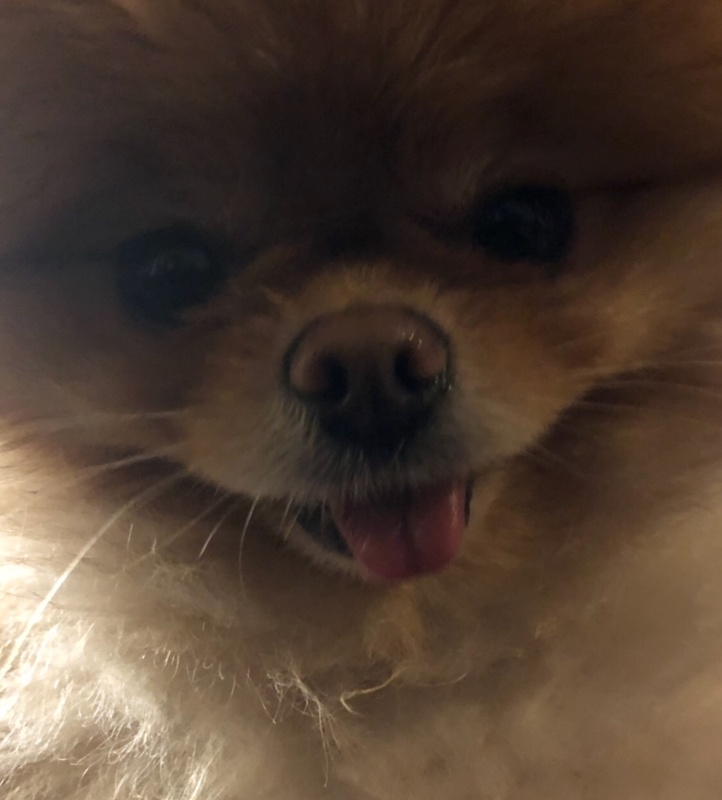 Link has been practicing for this stock split for over 30 years. While Nintendo does trade over here in the United States as NTDOY ADR, many investors want to own the stock in Japan. Nintendo trades in Japan as 7974 and closed trading at 47,770 yen last night. This translates to $444.26/share! There are a number of reasons why this is hurting Nintendo shareholders. The obvious problem is for smaller retail investors who view the 47,770 yen price tag on Nintendo shares in Japan as simply to high, but the bigger problem is that Nintendo can't be included in the Japanese Nikkei 225 benchmark index. The Nikkei 225 is a price-weighted equity index, which consists of 225 stocks in the first section of the Tokyo Stock Exchange. This is similar to the Dow Jones Industrial Average Index here in the U.S. The higher the share price, the larger amount of influence a stock will have over a price-weighted index. This is where the real problem lies for Nintendo's Japanese share price. If Nintendo were added to the Nikkei 225 Index at its current Japanese share price, it would be the largest weighted stock. This wouldn't make any sense as Nintendo is not the largest company by market capitalization in Japan and many of their competitors have much lower share prices in Japan. For instance, Sony's Japanese stock (6758) trades for 5,378 yen/share which is a far more affordable share price and the stock is easily included in the Nikkei 225 price-weighted index as a result. This all matters because large institutions like mutual funds, pensions and hedge funds might be willing to own or mimic the Nikkei 225 index's holdings. Nintendo's omission from the index means that those large investors will not have any incentive to own the stock. Nintendo's high Japanese share price hurts investors in two ways as a result. It makes investing in the shares more difficult for smaller investors to purchase and it keeps larger institutions away as a result of not being part of the benchmark Japanese Nikkei 225 Index. This frustration has bubbled up in recent days with some investors calling for a stock split. 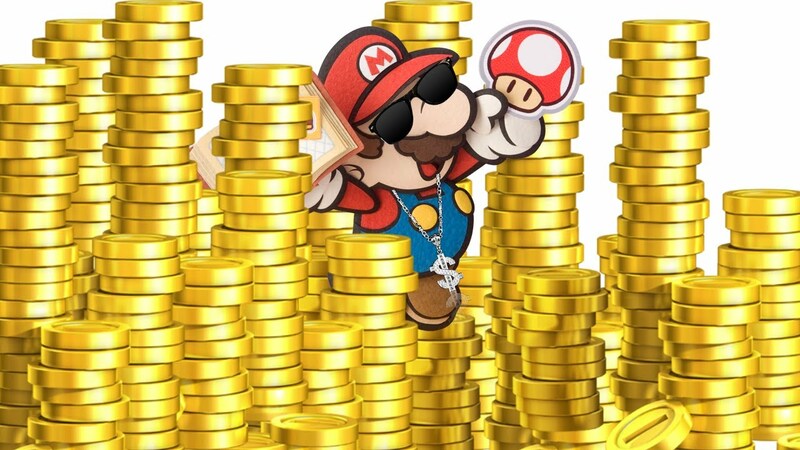 Mario seen here counting all the money before Nintendo sends out dividends to shareholders. Nintendo currently pays shareholders two dividends per year, with the majority coming in the Spring after they have reported their full-year financial results. While this isn't a major problem for most shareholders, it is something that makes the stock unlike most of its counterparts. Large companies that return cash to shareholders usually do it on a quarterly basis and that incentivizes investors to hold onto shares instead of trading in and out of them throughout the year. While this isn't a huge problem for long-term investors like myself, larger institutional investors like mutual funds and hedge funds would prefer to know their dividend is coming each quarter. Mario's reaction to Luigi wanting to hedge his Nintendo shares with options. While most small investors usually don't care if they can trade options on a stock, it is hugely important to large institutions. The ability to mitigate risk in owning a stock by selling upside calls or buying downside puts is a huge advantage to options trading. The inability to trade options on Nintendo's stock is a huge barrier to investment for hedge funds that are always focused on risk management. Nintendo would open themselves up to a whole new market of investors if they allowed options to trade on the stock. List NTDOY on an Exchange in the U.S.
NTDOY's pink sheet trading status makes it unnecessarily difficult to buy the stock. NTDOY trades over-the-counter (OTC) here in the states which means it is a security traded in some context other than on a formal exchange like the NYSE or NASDAQ. This leads to several problems for smaller investors. Folks looking to buy the stock cannot place market orders, which leads to some confusion for inexperienced investors. Adding difficulty to purchasing your stock is certainly not shareholder friendly. Making matters worse is the low trading volume of NTDOY. Average trading volume for NTDOY at the time of this writing is around 440,000 shares per day, which may seem like a lot but is nothing compared to the millions of shares that exchange-listed companies trade everyday. This makes price discovery for the stock more difficult and makes it harder to get into the stock at a good price when it is rising and harder to get out at a decent price when it is falling. Nintendo would do their investors a great service if they actually listed the NTDOY ADR shares at a major stock market exchange in the United States. It doesn't really appear that Nintendo's management cares much about these problems with their stock, and it hasn't hurt the share price in the past year. These problems have been with the company in past bull runs and investors were able to put up with the headwinds and make some money in the process. For Nintendo shares to break out to all-time highs in the United States and Japan, the company really should consider these suggestions as they will instantly make the company more attractive to large institutional investors. It is these large funds that could help propel the company from its current market capitalization of $52 billion to well over their $100 billion. These suggestions will also help smaller investors in Japan and the United States get into the stock by making it more affordable overseas via a stock split and more accessible here at home with better price discovery and hedging. Despite my doubts that Nintendo's management will implement any of my ideas, the stock still holds the coveted Super Mega Buy rating at Game Trader. Price-Weighted Index - a stock index in which each stock influences the index in proportion to its price per share. The value of the index is generated by adding the prices of each of the stocks in the index and dividing them by the total number of stocks. Stocks with a higher price will be given more weight and, therefore, will have a greater influence over the performance of the index. Market Capitalization - the total dollar value of a company's outstanding shares based on market prices. Dividend Yield - the annual dividends paid per share annually divided by the price per share of a given stock. American depositary receipt (ADR) - a negotiable certificate issued by a U.S. bank representing a specified number of shares (or one share) in a foreign stock traded on a U.S. exchange. NTDOY is Nintendo's ADR. Stock Split - a corporate action in which a company divides its existing shares into multiple shares to boost the liquidity of the shares. Although the number of shares outstanding increases by a specific multiple, the total dollar value of the shares remains the same compared to pre-split amounts, because the split does not add any real value. Stock Option - a financial derivative that represents a contract sold by one party (the option writer) to another party (the option holder). The contract offers the buyer the right, but not the obligation, to buy (call) or sell (put) a security or other financial asset at an agreed-upon price (the strike price) during a certain period of time or on a specific date (exercise date). Stock Exchange - a marketplace in which securities, commodities, derivatives and other financial instruments are traded. Please consult Investopedia for more useful definitions of financial terms. Investors should do their own research or consult their advisor before acting on this information. This is an educational article and investors should consider each recommendation based on their own risk tolerance and suitability. Great article! I'm still picking up GME at these prices too! GME is King Turd of Turd Town. Turding it up in turdwater. Gonna take some time, but I am still in it. Get Rich or Die Trying, the GME motto. They announced their dividend will be payable on March 20th! Good stuff. I'm annoyed that NTDOY isn't traded on a US exchange. I still haven't bought any, because I don't want to call somebody to do it. It really is a big problem for regular retail investors and Nintendo seems to not care at all. Do you think adding that access would bump up the price, or is the price decently well discovered as it is? I think it would provide more liquidity, which would definitely help the stock's price in the long-term. At the same time, I believe the market is finally waking up to Nintendo's story and some investors are wading in. It is hard to ignore their excellent revenue growth and the success of the Nintendo Switch. I had no problems been buying it on etrade. No need to calm anyone. It really boils down to understanding how to place limit orders. With vanguard it will let you get all the way through setting up your limit order, but the when you submit it wants you to call to complete the transaction. It would be nice to be on a platform that lets me handle it online, but it hasn't bothered me enough to move anything. That phone call could make you moneys tho. I love your money man analysis, Mr. Briefcase. Thank you! Good article but I get the impression Nintendo really just doesn't care (as you basically point out in the conclusion). They seem to operate as much like a private company as they can get away with. They truly have a DGAF attitude. Berkshire Hathaway ran into the same thing with their shares until they finally released Class B shares. Class A shares of Berkshire now cost over $300,000/share. I doubt Nintendo would do B shares, because of their NFG attitude. It is fine, but it just makes it harder to own them. They probably know that, and it doesn't bother them. This made sense when 10% of it was owned by Mr. Yamauchi, but it is somewhat odd to see a public company of their size act with such little attention to shareholders. That last gif sums it up.